ATLANTIC CITY POKER ENTERTAINMENT PROVIDES GREAT AND AFFORDABLE FUN TO MEMBERS OF YOUR COMMUNITY OR PARTY VENUE. YOU WILL RECEIVE AN EXTREMELY FRIENDLY AND PROFESSIONAL POKER DEALER / INSTRUCTOR SKILLED AT DEALING AND TEACHING IN A FUN AND PATIENT MANNER . WE WILL PROVIDE FABULOUS ENTERTAINMENT THAT WILL FIT ANY BUDGET. WE ALSO PROVIDE A BEAUTIFUL, LARGE 10-SEAT POKER TABLE TOP, QUALITY PLAYING CARDS WITH LARGE FACE TYPE, CASINO QUALITY CHIPS, THE INSTRUCTION AND MOST OF ALL...... LOTS OF FUN!!!! ALL YOU NEED TO PROVIDE ARE THE PLAYERS LOOKING FOR A GOOD TIME BY PLAYING SOMETHING EXCITING AND DIFFERENT!!!! 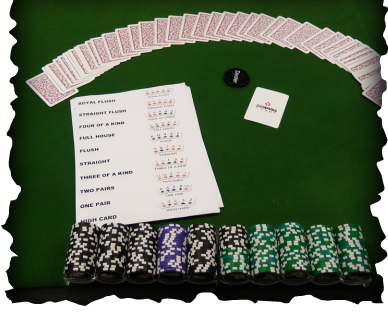 WE DEAL AND TEACH THE FUN AND EXTREMELY POPULAR TEXAS HOLD'EM POKER GAME WHICH YOU SEE ON TV ALL HOURS OF THE DAY. FROM PERSONAL EXPERIENCE I CAN TELL YOU IT'S A HUGE HIT AND YOUR CLIENTS AND FRIENDS WILL HAVE A BLAST!!!! WE BRING the FUN and EXCITEMENT of CASINO POKER to YOU!!! ATLANTIC CITY-style ENTERTAINMENT at your DOOR!!! THIS SERVICE IS FOR ENTERTAINMENT PURPOSES ONLY AND DOES NOT INVOLVE GAMBLING.